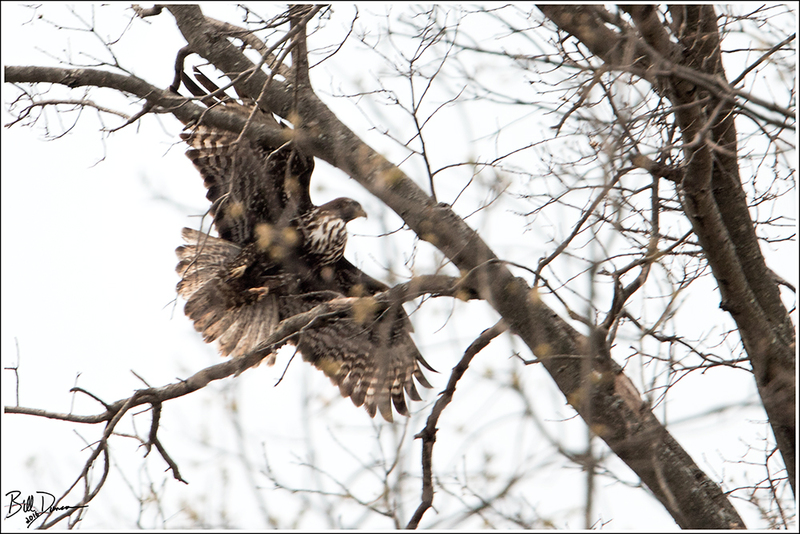 Sarah and I came across this gorgeously colored Red-tailed Hawk early this spring at BK Leach C.A. 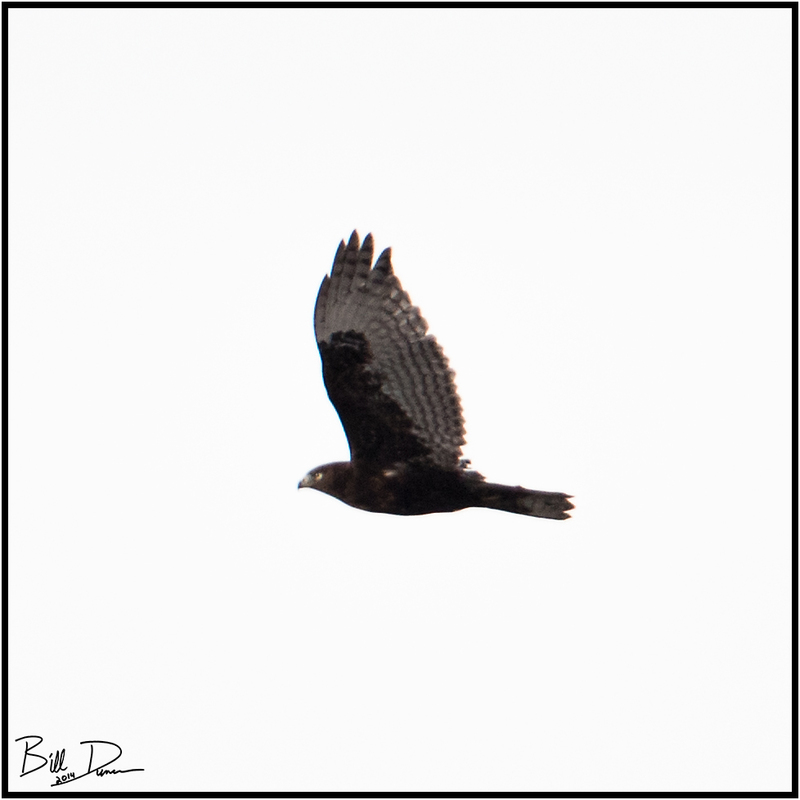 I may be wrong, but my best call is a juvenile Harlan’s. 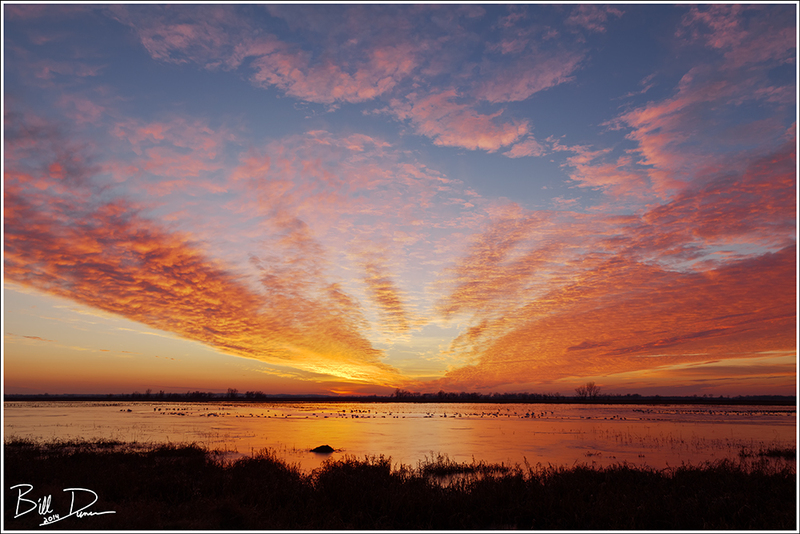 I have posted about Squaw Creek National Wildlife Refuge before. One of the prime birding locations in the state, I asked Steve to accompany me for a Thanksgiving week’s trip. 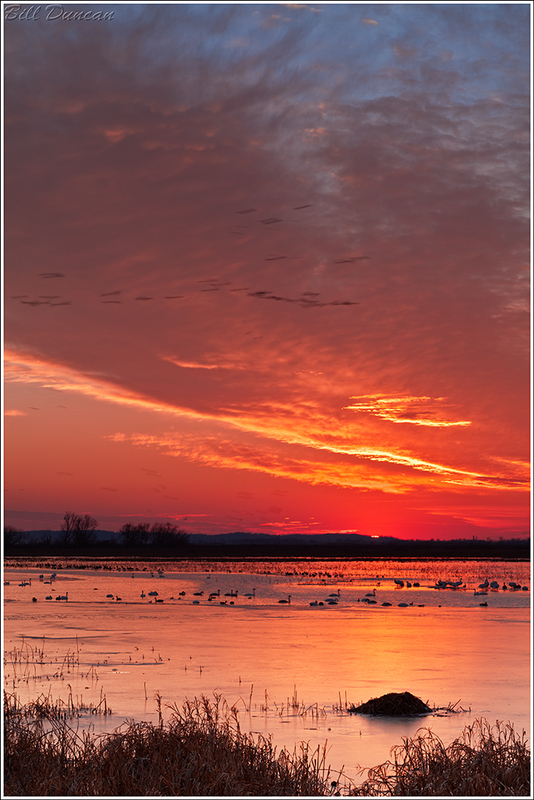 Nothing is assured during this time on the calendar in Missouri, and we knew that there was a chance the entire refuge could be frozen over, pushing the 500,000 snow geese that could potentially be visiting to warmer, more southerly locations. The weather that week was barely below freezing so we were optimistic that the refuge would be mostly open and the birding would be good. Arriving in Mound City after dark, we were forced to wait until the next morning to check out the refuge. Being the proper naturalists/photographer/birders that we are, we arose in plenty of time to fill ourselves with coffee and roughage, pack up the car with optics and winter gear and make it to the refuge before first light. Driving around the well-placed road, we could hear little but wind. At one point we left the car and Steve through a rock into the black. The response was quite an unusual sound that was definitely not the plash expected of liquid water, but could only be the vibrations of a rock on a large flat ice sheet. As the light grew we could see that most of the refuge was indeed frozen (>90%). 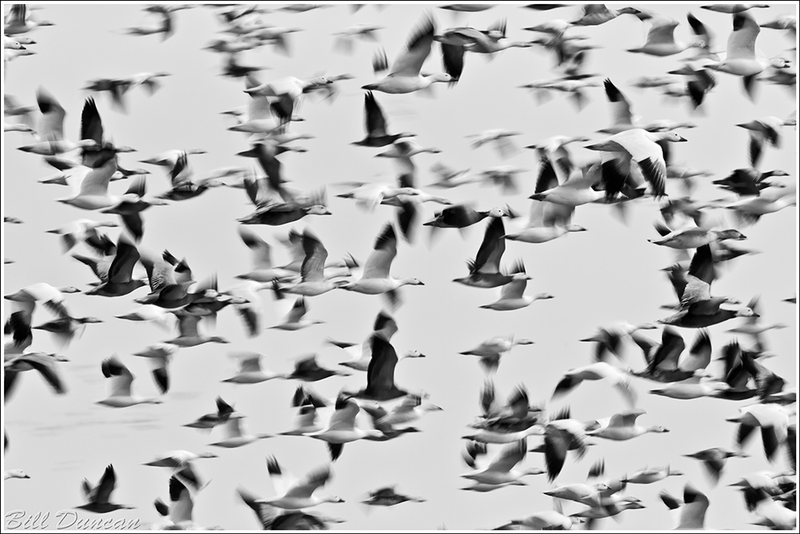 We would not get to see the numbers of snowies that could potentially be visiting, but we would see 10,00-20,000 birds that were using the two small ice-free spots. Steve seemed impressed, nonetheless. 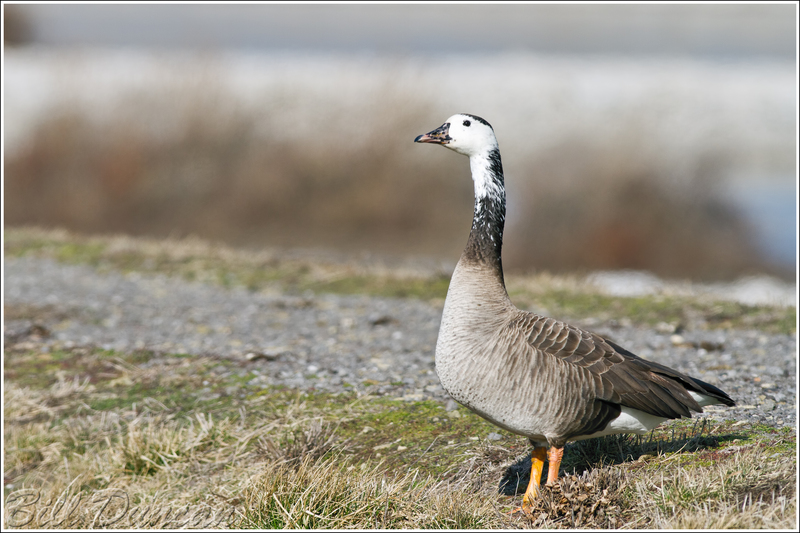 The image below really shows the difference between the lighter, “snow” and the darker, “blue” phases this species comes in. 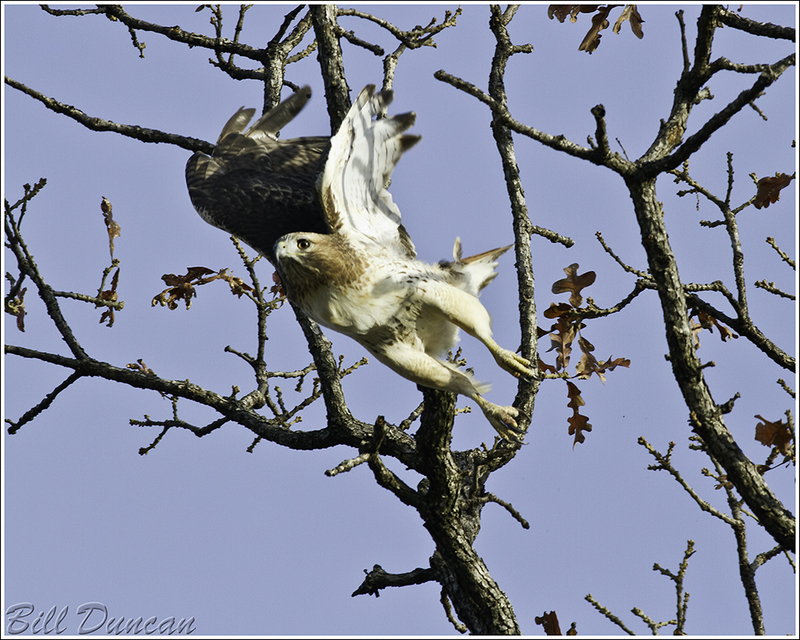 Red-tailed Hawks were quite common in this area of the state, but were very much different than the typical plumage seen from the eastern subspecies from the opposite side of Missouri. This is what I believe should be considered the “western” subspecies, but can be difficult to distinguish from “Harlan’s” subspecies in winter. The ABA has a nice article on this variably-plumed raptor. The beauty of Squaw Creek is the potential for all sorts of bird species and other wildlife one is likely to find. 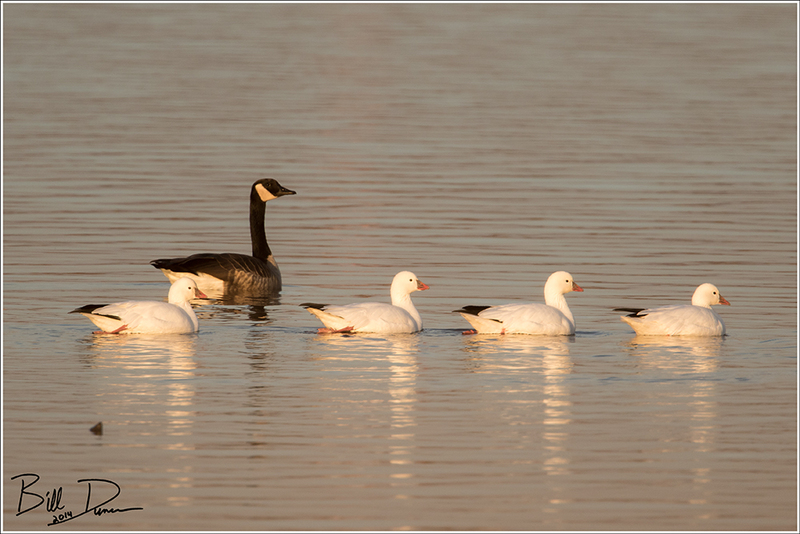 The snow show is definitely the main attraction this time of year, but other migrants are likely to be found as well. Taking the ~10 mile auto route allows for close-up viewing in a variety of wetland habitats. 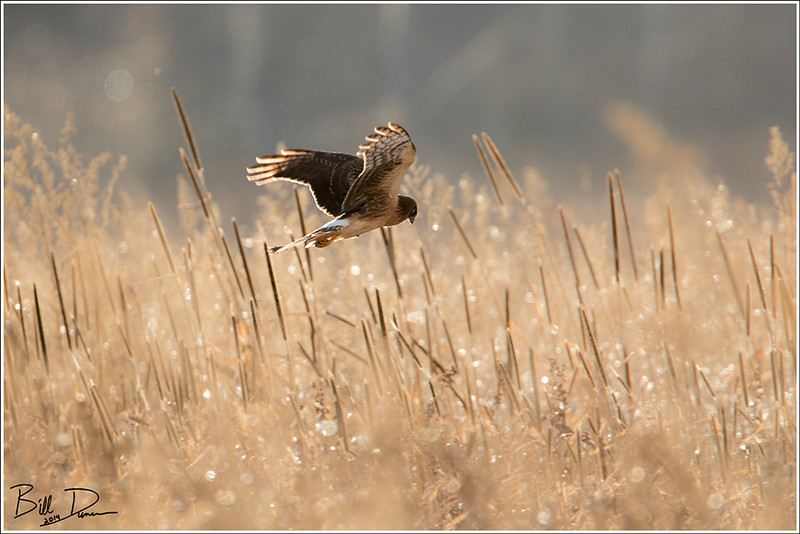 Across a canal, in some warm winter grasses we found a couple of familiar heads sticking up. 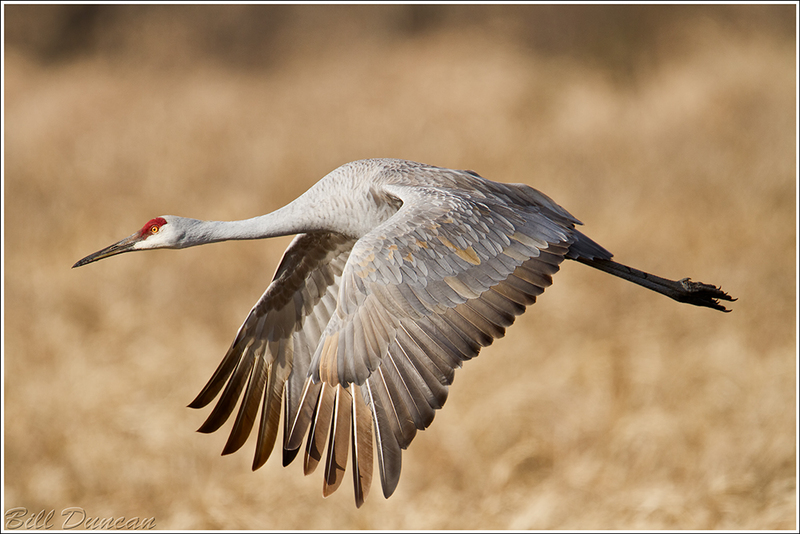 Two Sand-hill Cranes! I got out of the car as silently as possible and set up the tripod and big lens. They did not seem too concerned with us. As they foraged we watched and I took photos. A couple in an SUV pulled up not too far down the road and were not as considerate. This seemed to be too much for the pair, who took to wing. Luckily, I was prepared and was somehow able to squeeze this keeper. 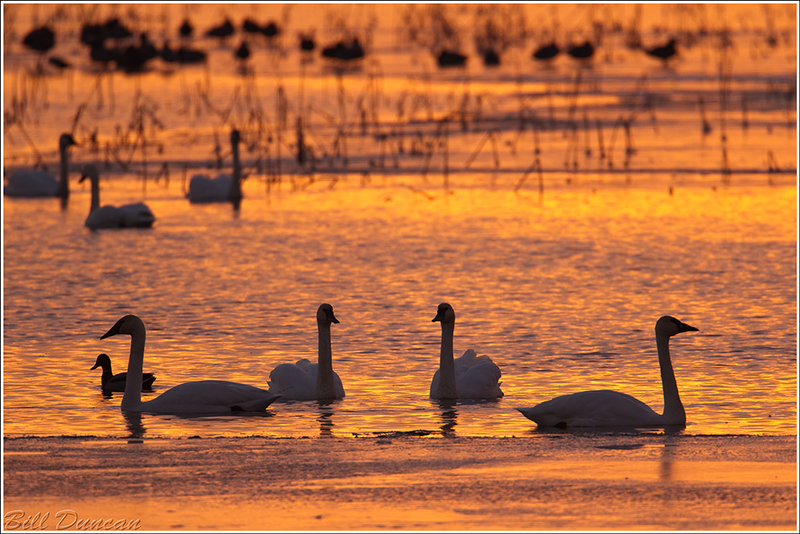 Sunrise and sunset are the times to be in a wetland. The lighting is perfect and the birds are most active, heading into open water for roost. 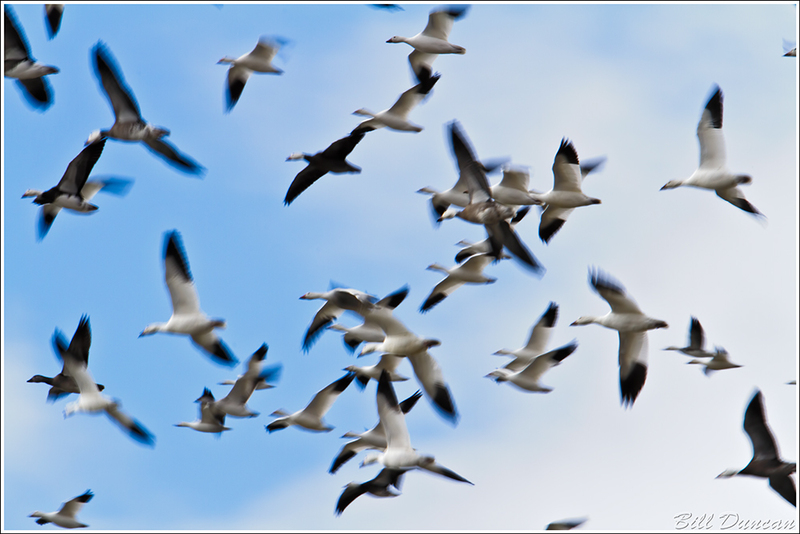 It really does seem that many birds on the wetlands fly around for the sheer enjoyment. 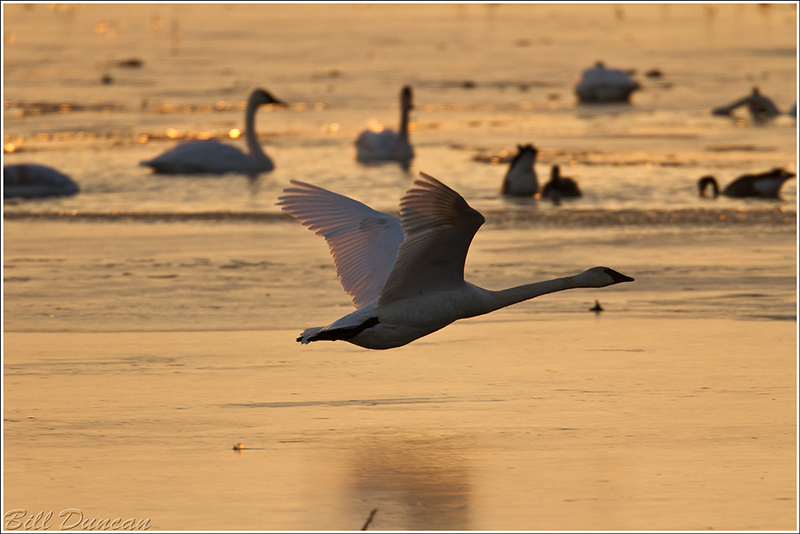 Trumpeter Swans are a favorite of mine to watch. As we watched the show, we hear a familiar and longed-for music. 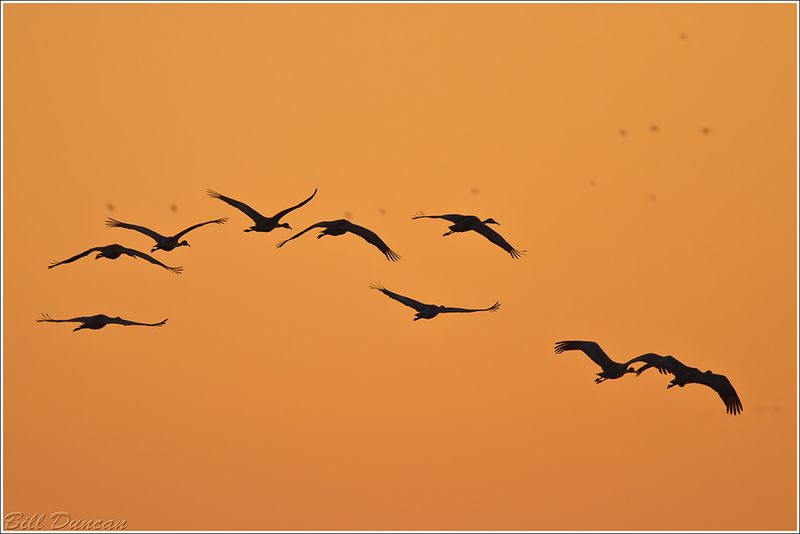 I can’t explain it better than Aldo… “High horns, low horns, silence, and finally a pandemonium of trumpets, rattles, croaks, and cries that almost shakes the bog with its nearness, but without yet disclosing whence it comes.” Travelling south passed a group of Cranes. The warm temperature of the light near sunset betrays the senses. The skin knows the eye is false. Even so, watching this show makes it all worthwhile. Marsh grasses, muskrat mounds and loess hills. Can you imagine a more satisfying landscape? I’m not sure I’ll get there next year or not, but it goes without saying that I can’t get enough of Squaw Creek. 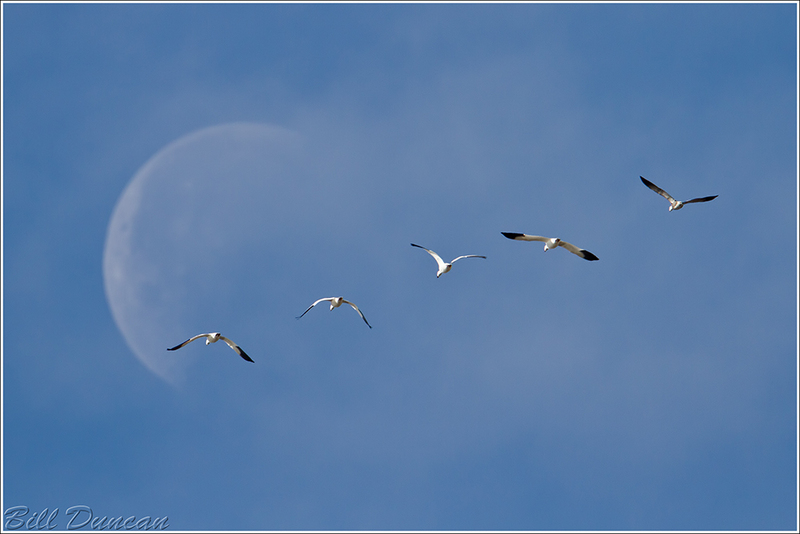 Dedicated to Bill Rudden, a St. Louis City based birder and bird photographer who passed away recently. 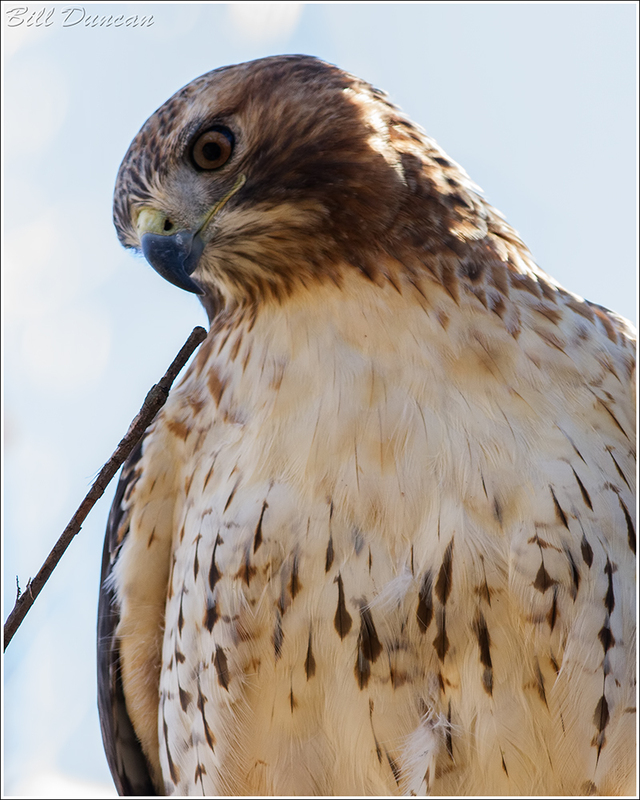 I took this image of one of Carondelet Park’s Red-tailed Hawks on the day I met Bill for the first time. We had some good conversation that day while looking for the Crossbills that were visiting. I’m sorry I didn’t get know him better. 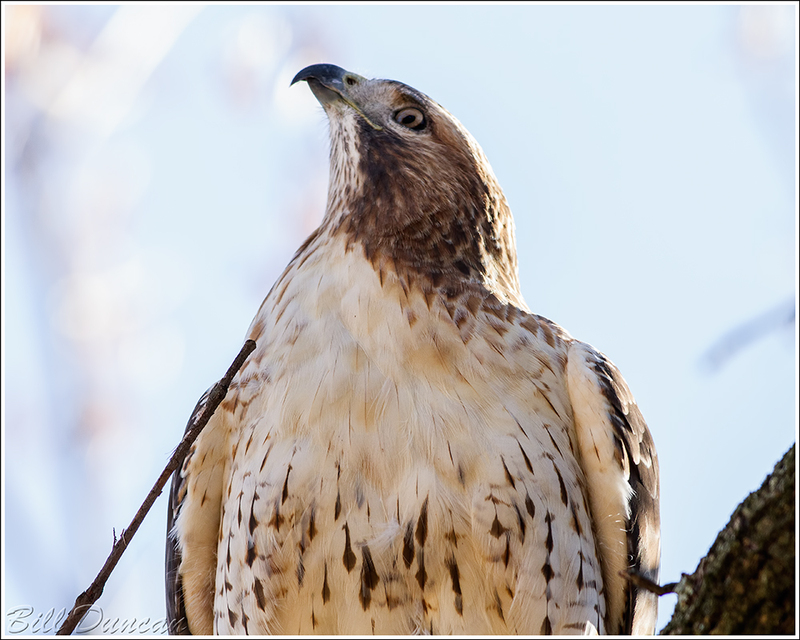 Today’s photo is one of the Red-tailed Hawks that make a home in St. Louis’ Carondelet Park. This is indeed, a wild bird. Of course Sarah was with me on a Sunday when we arrived here looking to photograph some of the Crossbills that visited us this year. While keeping my eyes peeled on the hemlocks for the Crossbills, I heard Sarah whisper, “Do yourself a favor and slowly look up”. 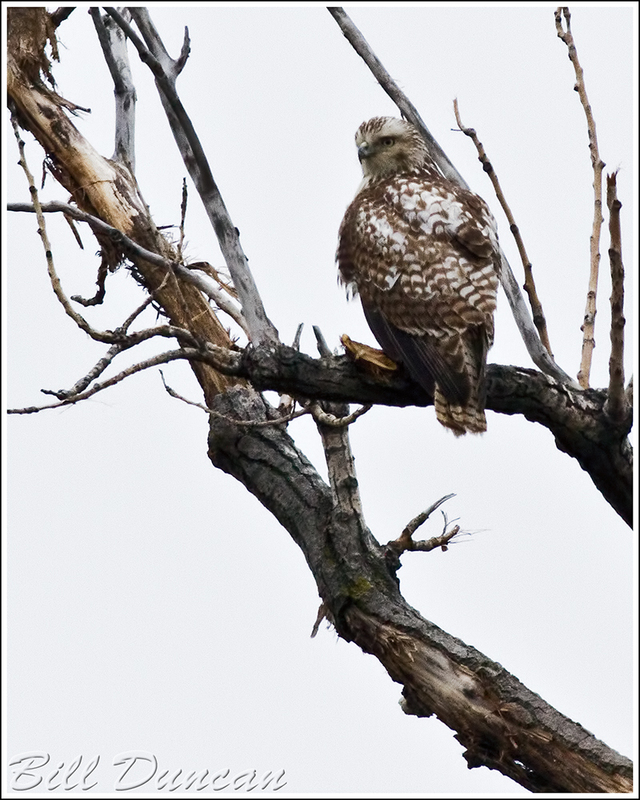 I did and found this hawk perched ~15″ from me! Even once it discovered I was there it did not flush immediately but stayed and looked around a while. 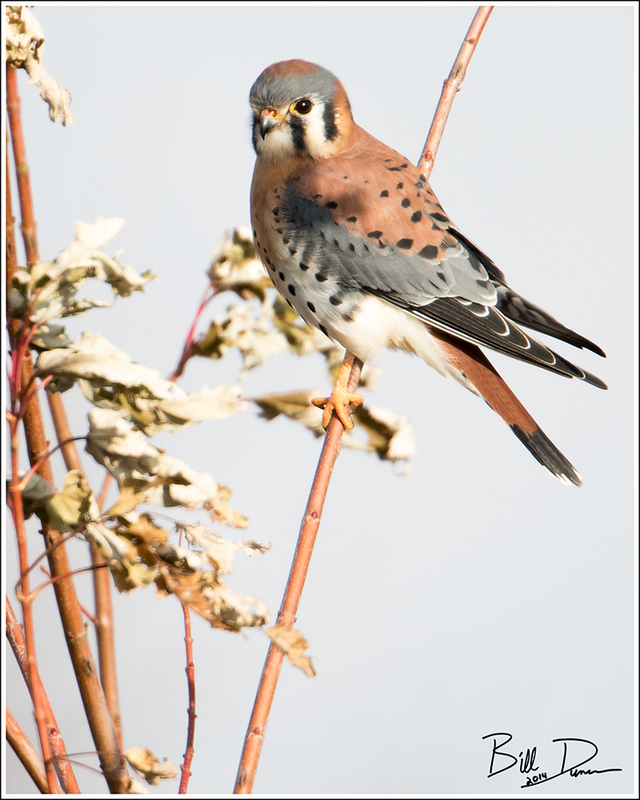 I spent the AM hours at Riverlands Migratory Bird Sanctuary and Columbia Bottom C.A. yesterday. 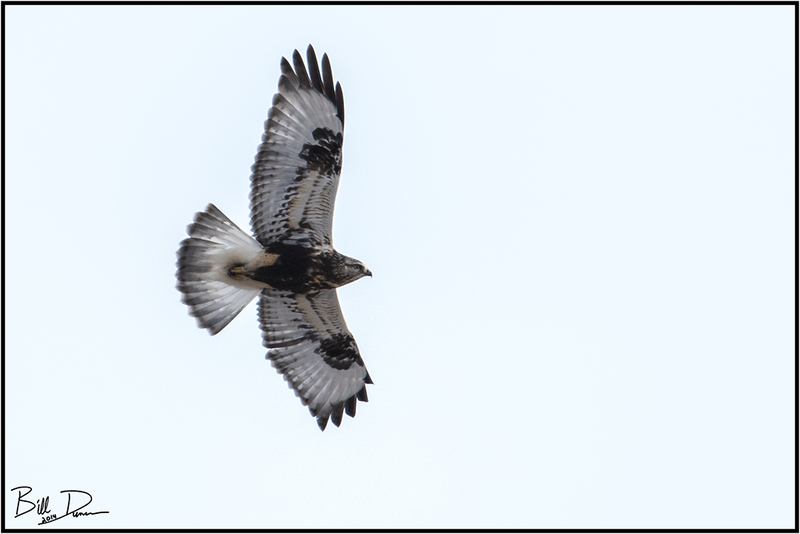 I mostly ran into lots of the usual: waterfowl, American Kestrels, Harriers, Eagles and an assortment of Sparrows. Two birds at RMBS were a bit unusual. 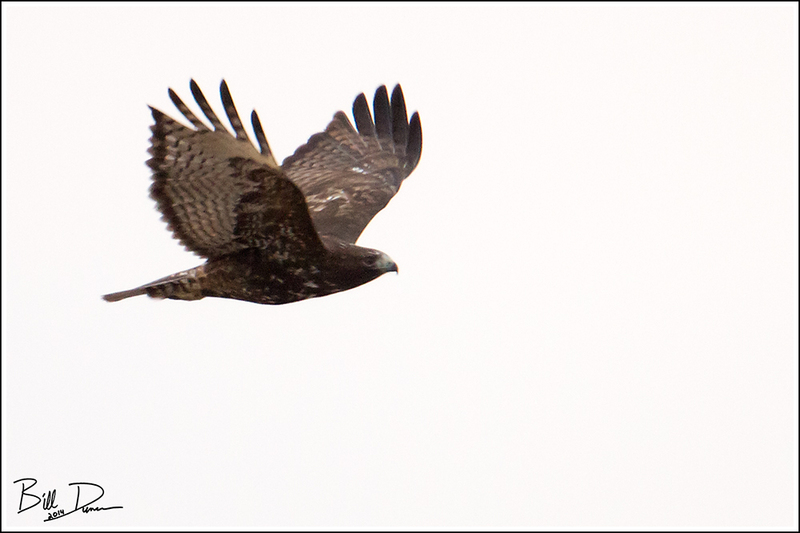 The first was this juvenile, “Krider’s morph” light phase Red-Tailed Hawk. I watched him at this perch for a while until one of the resident Eagles decided it was time for him to leave the tree. I looked for him the rest of the morning, both at RMBS and CBCA, but never spotted him again.